AVO Turboworld’s Subaru Performance Programs draws on experience gained from 20 years of turbocharged Subaru performance tuning, and 35 years of experience in designing, manufacturing, installing and modifying turbochargers. 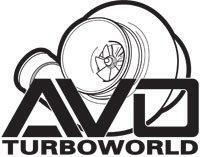 AVO Turboworld is an industry leader in the field of turbocharger system design and manufacture and is unique in that it is a totally family run and operated business. Likewise, its engineering philosophy is also unique, in that AVO Turboworld’s main design aim is to always maximise efficiency over excessive boost pressure. No ifs, ands, or buts. Period. Our design philosophy has four important parts: optimising the intake system, optimizing the exhaust system, specifying the best possible performing intercooler, and finally, most importantly joining the whole package together with state of the art engine management that is never mismatched for the application. Many hundreds of hours are spent designing, testing and developing our range of Subaru performance parts, with a large amount of work going into ensuring that all turbosystem parts seamlessly integrate with the stock engine, transmission and electronics package. Design and development is an on-going task and is taken very seriously at AVO Turboworld, as we constantly improve and refine our range of parts and accessories. AVO Turboworld simply has no rivals when it comes to design integrity, quality of workmanship and materials used. When correctly chosen and fitted properly, not only will your engines power increase over stock, but it will also be user friendly to drive and will remain so for many years of trouble free operation, with proper servicing and maintenance. One of AVO Turboworld’s main design aims is to achieve excellent power gains by maximising efficiency rather than having to depend on brute force by running your turbocharger and engine to the edge of its safety margin. AVO Turboworlds range of performance packages always take into consideration such things as available fuel octane, ambient temperature and long term reliability while having you smiling from ear to ear.